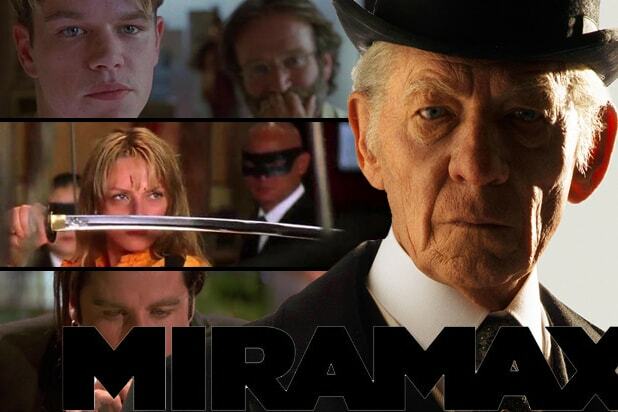 Miramax and its library of more than 700 films is up for sale again, with Thomas Barrack’s Colony Capital and Qatar Holding meeting with bankers to handle the transaction, an individual with knowledge of the situation told TheWrap on Friday. Colony Capital, Qatar Holding and billionaire Ron Tutor purchased Miramax from Disney for $660 million in 2010 before Qatar Holding bought out Tutor’s stake, though the new owners have done little to grow the value of the company despite investments in several new films. While Miramax just released Bill Condon’s Sherlock Holmes movie “Mr. Holmes” starring Ian McKellen and has two films in postproduction — the Jamie Dornan thriller “The 9th Life of Louis Drax” and Analeigh Tipton’s genre movie “Viral” — the true value of the company lies in the hits of the past rather than the future, though the brand still resonates with moviegoers. Miramax’s library includes Oscar winners such as “Shakespeare in Love,” “No Country for Old Men,” “Pulp Fiction” and “Good Will Hunting.” Insiders suggest that its lead investors believe it’s time to sell the company and take advantage of an online market that is hungry for content. While reports have Miramax asking for $1 billion, the company is not expected to fetch that high of a price tag. It is rare for a movie library to appreciate that much in value without the significant addition of new titles. Barrack is the chairman of the board at Miramax and he is leading the sale. Disney previously bought Miramax from founders Harvey and Bob Weinstein in 1993. Representatives for Miramax and Colony Capital declined to comment.